Welcome to another installment of The guitarguitar Guide! In this series we take a look at some of the things we get asked about most and lay out the information you need to get going. In this article we will be going over how to put together and use a PA for smaller gigs and practice rooms. This is more focused on using a system you'd run vocals and a couple of instruments through, not so much something you'd run an 8 piece drum kit through. For the bands out there who are tired of lugging equipment to a different practice space every week, only for the 12 year old mixing desk to cut in and out during the whole session, it could be worth looking into building your own space with reliable equipment. If that strikes a note with you, strap yourselves in and we'll explain how to do just that! First off let's have a look at speakers. Active speakers have been on the rise for years now, thanks to their convenience. They don't require a separate power amplifier, unlike their passive counterparts. Due to modern technology, they can be almost as light as passive speakers! 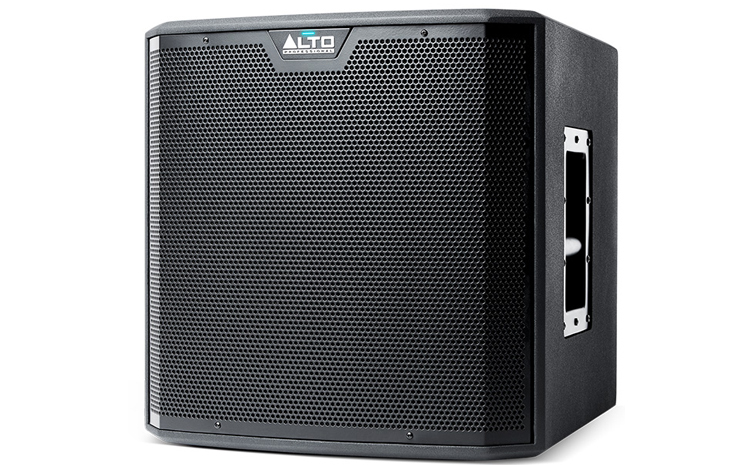 These active speakers can be great for smaller gigs and can even double as stage monitors for bigger shows. 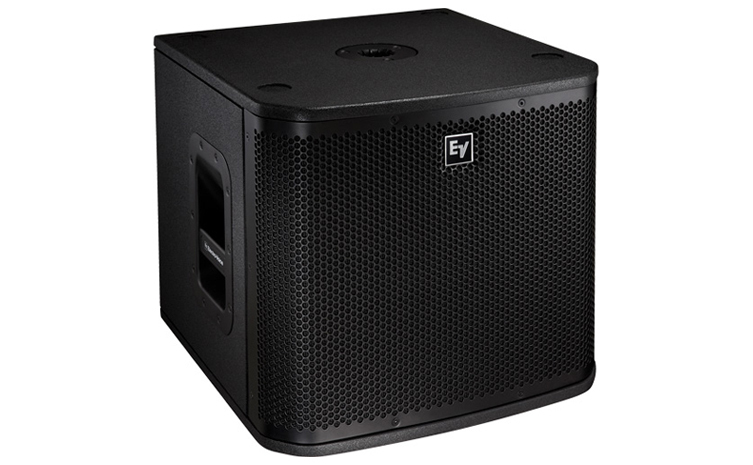 Twelve-inch or larger top speakers are a solid pick for running a few vocals and a couple of instruments through. Without the inclusion of a sub, they may struggle for headroom with too many bottom heavy instruments such as drums and bass going through them. If you want to run these instruments through your PA, we'll also cover some great portable subs worth checking out. Here is a look at some of our favourite picks! These are one of our absolute favourites here at guitarguitar! 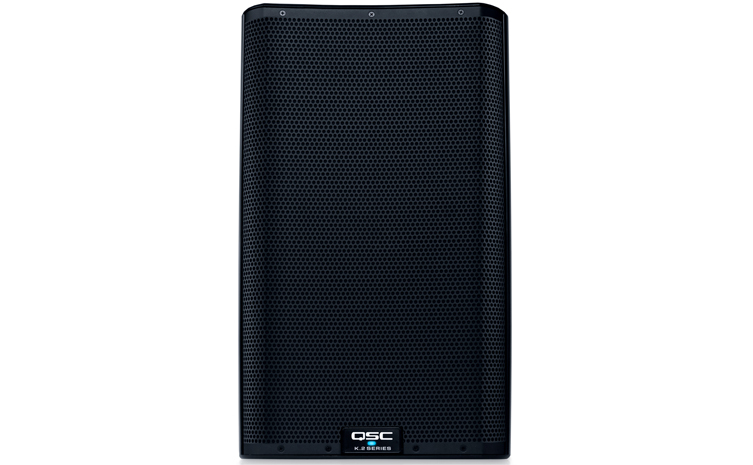 The QSC K12.2 Speakers boast an impressive 2000 watts of power, sound asbolutely incredible and are very lightweight. They have in built DSP and preset contours, allowing you to quickly dial in a great sound and get on with the show. These can handle a bit more than your average top speakers, meaning you can get away with running more instruments through them, but are still optimal when used with a subwoofer. These are great if you're after superb power and sound quality in a lightweight package. 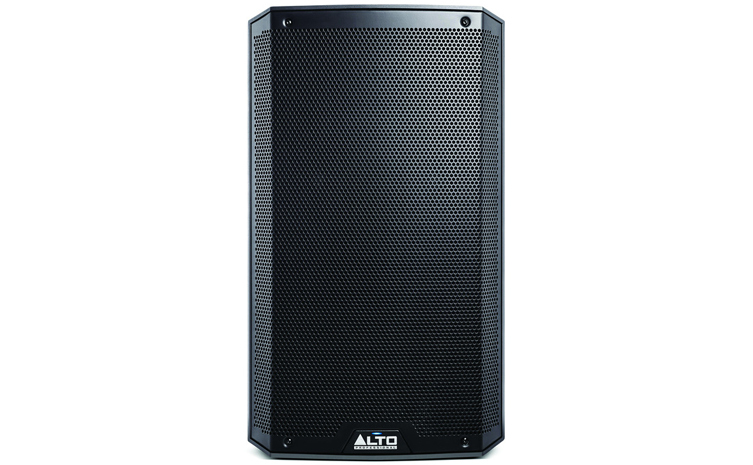 Some of the most budget friendly speakers available, Alto TS312s are nothing to turn your nose up at. They have 2000 watts of power, sound great and like most options listed here, are very lightweight. These are ideal if you are on a tight budget and still after power and quality. This is a great choice for adding more low end to your sound, without being too overbearing in terms of transporting it or taking up too much space. It's also fairly light on the wallet as subwoofers go. Electro Voice's ZXA1 Sub is incredibly popular, due to it's small stature and powerful output. This is a great choice for getting a bit more oomph into a live set, and incorporating bass or drums into the main mix. If you decide to use a single subwoofer, the best way to connect this all together is to send the main L+ R outputs from the desk into both inputs on the subwoofer. Then run a set of cables from the outputs on the subwoofer to the Left and Right main speakers. Simple as that! Next up we'll be taking a look at mixing desks. Mixing desks allow you to send sound from multiple sources to the same speakers, while getting all the individual levels right. You can also use the desk to fine tune each sound with EQ, Gain control and effects. Desks can have way more advanced features than this, but we're going to keep it simple for now. When buying a desk for a PA such as this, you want enough microphone and instrument channels as you may require, with a couple of extra channels for any backing tracks, click tracks or interval music. You also ideally want something that has separate monitor send channels, so that you can hear yourself while performing live. 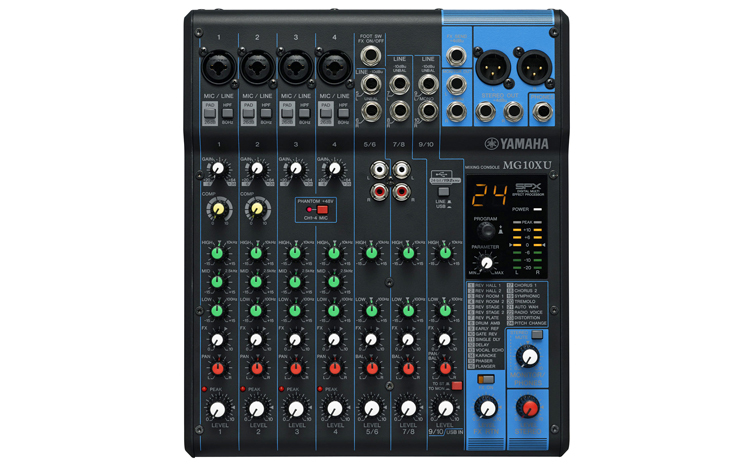 The Yamaha MG10XU is a great example of the kind of quality and flexibility you can get from a small mixing desk. You have 4 Mic/Line Channels, allowing you to get all of those backing vocals on board, as well as 3 stereo line channels. 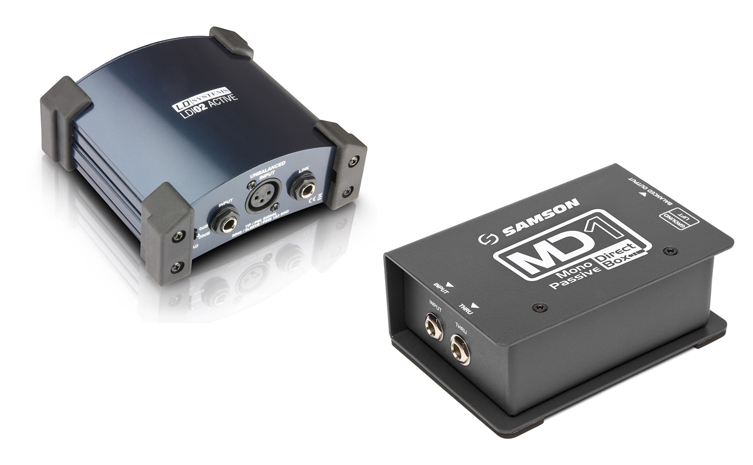 The Stereo Line Channels are great for hooking up keyboards and drum machines. They are also ideal for hooking up a iPod or phone for backing tracks or interval music. 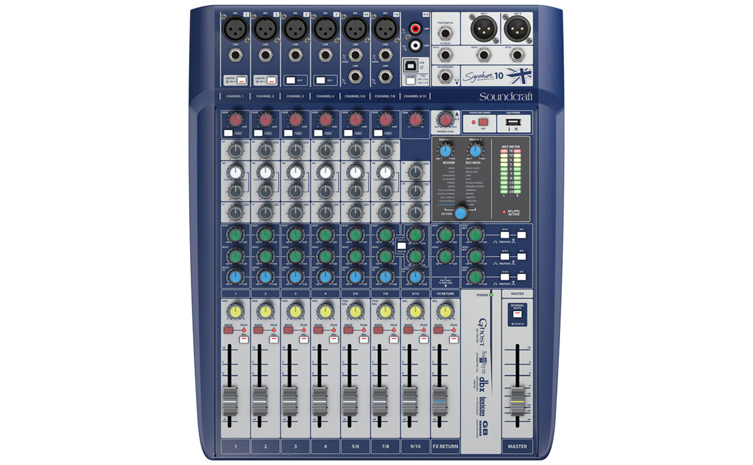 It features two monitor sends so you can hear everything back through a couple of stage monitors while you perform, as well as an effects section to sweeten up your sound. This is one of our favourite mixing desks in it's tier. This is very much a similar layout to the MG10XU, but is a little more advanced in terms of signal processing and monitor control. It features a slightly more advanced EQ section, and the ability to create up to 3 individual monitor mixes. This can be ideal if the drummer needs to hear a lot of the bass player, and the guitar player needs a lot of vocals in their mix for example. A longstanding industry favourite, the Shure SM58 is easily one of the most recognisable microphones in the world. This is due to their excellent sound, virtually indestructible build and reasonable price tag. You can never go wrong with one of these! Somewhat of a hidden gem, the Sontronics Solo is a favourite of ours here at guitarguitar! It features a supercardioid polar pattern, which has a narrower, stronger pickup radius. This is good for avoiding feedback caused by picking up stage noise, and rewarding good microphone diction when pulling away for those big notes! Combined with a naturally warm response and requiring minimal EQ, we really can't get enough of this mic! DI boxes, or Direct Injection Boxes, have a very simple job, but are very useful. They can convert an unbalanced signal to a balanced signal, and bring an instrument level signal up to line level. This allows you connect a Bass Guitar, Acoustic Guitar etc directly to the desk. A common question we are asked is whether to go for Active or Passive. Generally, Active is good for use with signals that might have a low output, such as an electric guitar or bass as it can give them a boost. Passive doesn't require phantom power or a battery to operate, and is best used with signals that are strong on their own, for example an Acoustic guitar with a preamp fitted or a stage piano. If you're not sure which will suit you best, don't hesitate to get in touch with us! You won't get too far if you don't have the cables to connect it all together! Thankfully it's very straightforward. 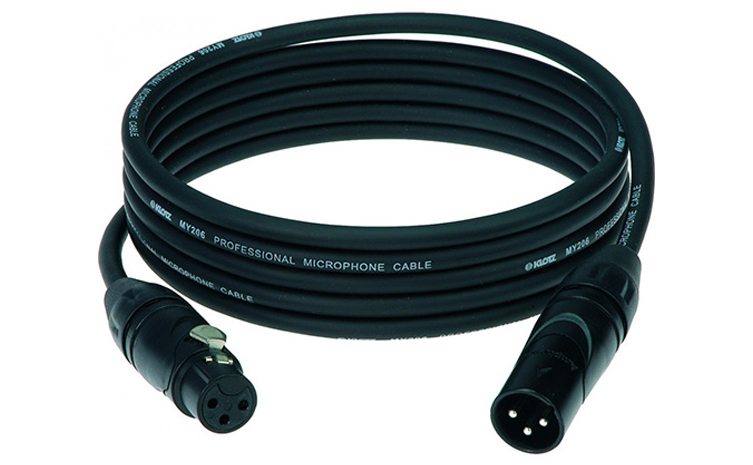 An XLR-XLR cable will fit most places in a PA system. You can use it to connect your microphones or DI boxes to the desk, connect the main output to the speakers and link speakers together. If you are using stage monitors, most monitor sends on mixing desks tend to be a 1/4" Jack output. For connecting the desk to these speakers, you will need a Balanced / Stereo 1/4" Jack to Male XLR cable. Most speakers will have the same thread size when it comes to mounting them on stands. 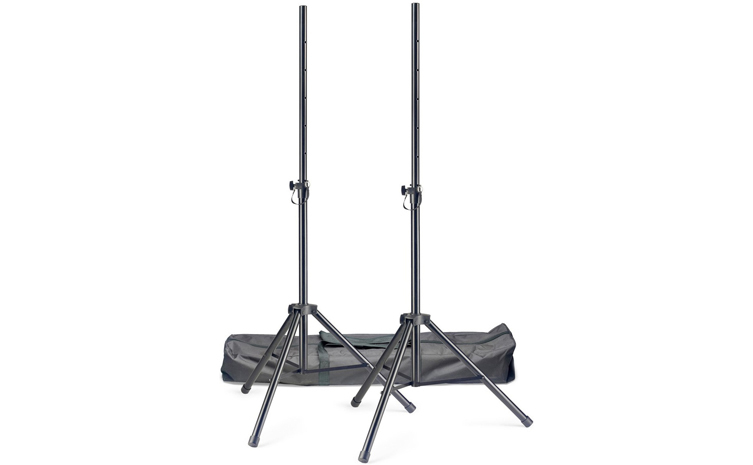 Making it as simple as getting a pair of standard speaker stands such as the Tourtech TTS-SPQ10 or Stagg SPSQ10 Sets. These come with a free carry bag too. Bonus! At first glance you might think you need a degree in sound engineering to put this all together properly, but it simply isn't the case. While it can obviously be argued a trained engineer will know more about setting this up to an optimal standard, it's actually very straightforward to put a PA like this together yourself. Once you have an idea of how it all links together, and have a read through a couple of product manuals, you will be able to use a PA like this and get a great sound from it with some practice. Just remember, our friendly staff are always happy to answer any questions you have and help you put together a bespoke PA package that suits your needs. Just give us a call, drop us an email or pop in to your local store and we'll be happy to help!